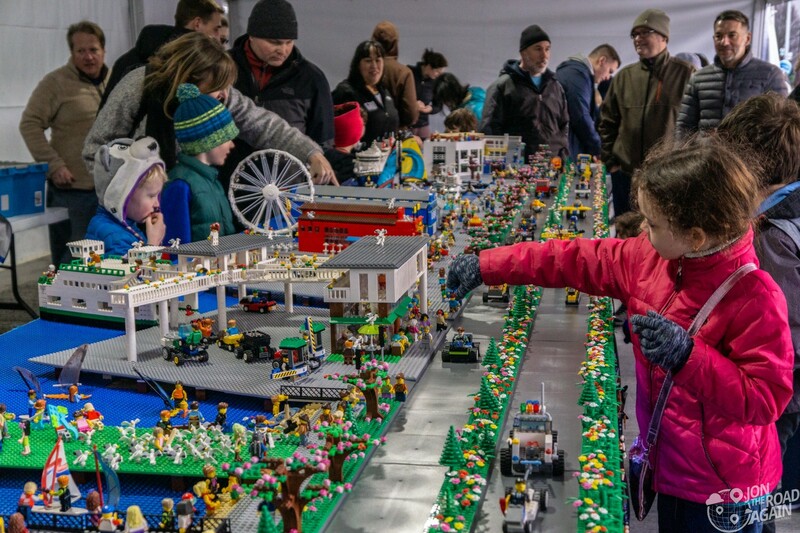 Today is the first (and only) chance for citizens to explore their new engineering marvel. 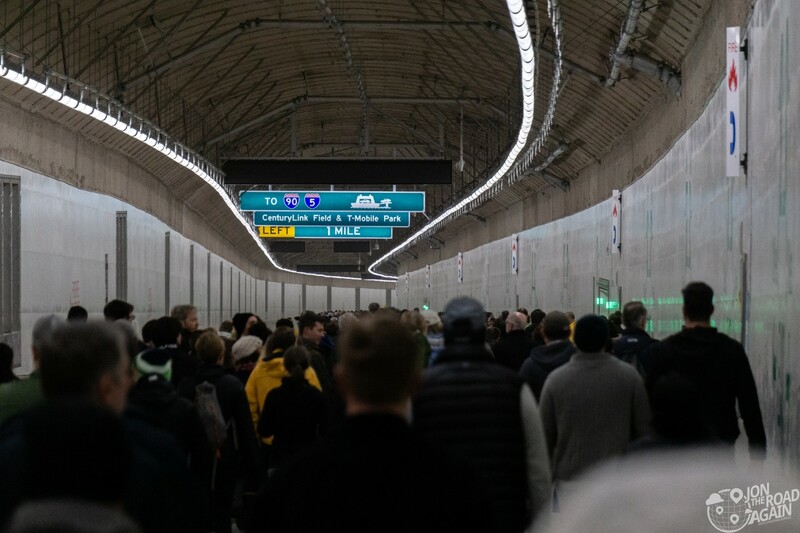 Join me for a first Seattle Tunnel walk. 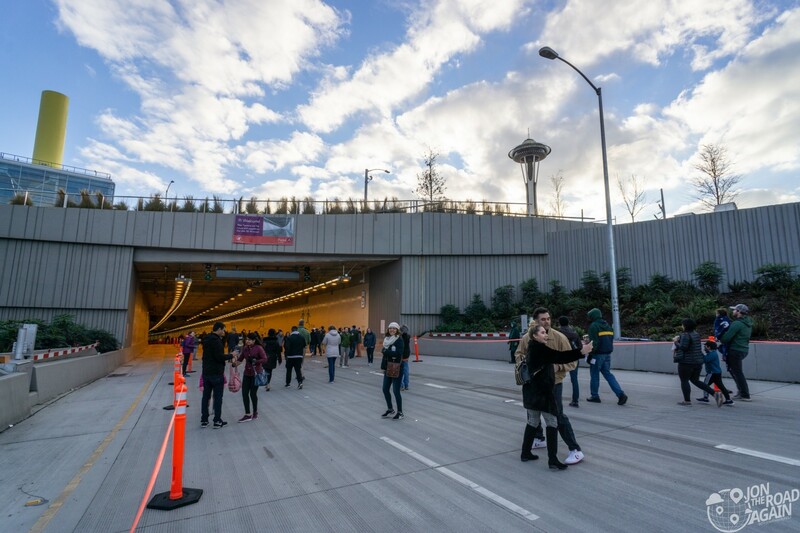 Before diving under the city, Seattle and the Washington State Department of Transportation have staged a party, complete with food trucks and informative exhibits. 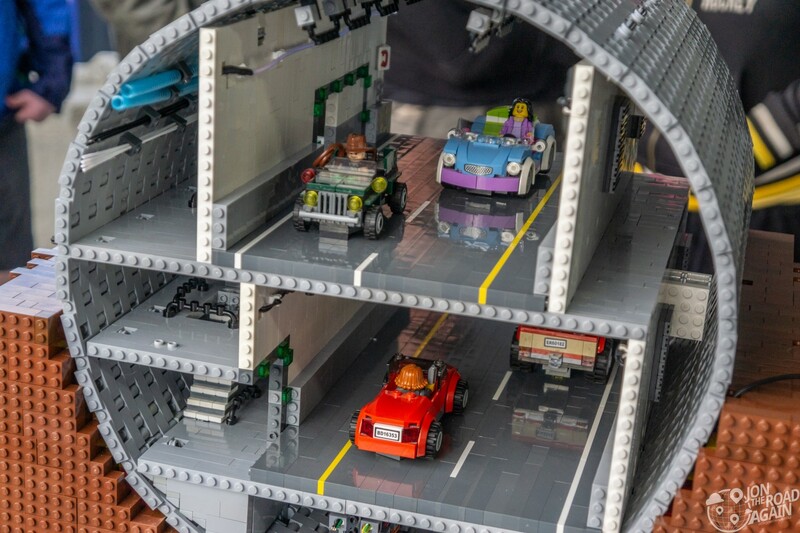 None more fun than this Lego recreation of the new Seattle waterfront sans-viaduct, and a cross section of the tunnel. The cross-section shows one of the tunnel’s claims to fame; it is the first double-decker highway tunnel to open in the US. Here in the South Lake Union area, change has come hard and fast. 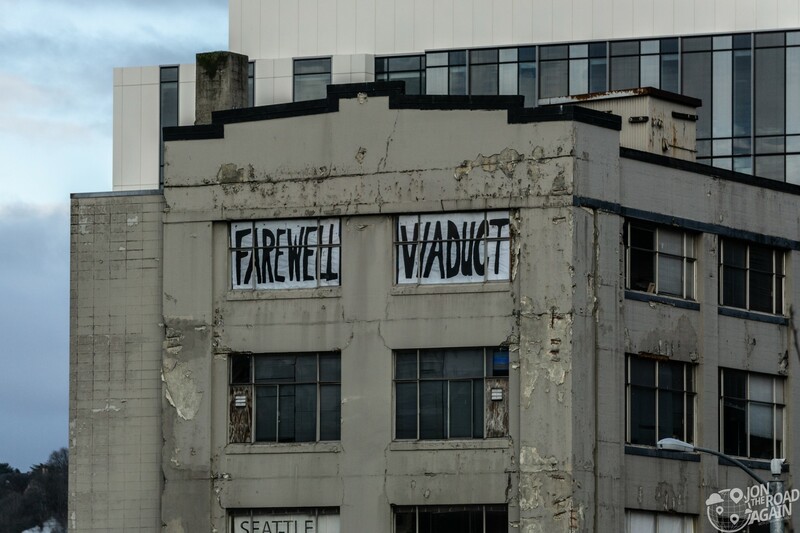 It’s no surprise to see this old building saying farewell. I can only assume Vulcan Real Estate and Amazon are finalizing plans to buy and demolish it, too. WIthout any further ado, it’s time to follow Bertha’s path under the city. At the time she started, Bertha was the largest tunneling machine in the world. She was supposed to finish her work two years earlier than she did, but the cutter head caught a steel pipe and work had to stop. 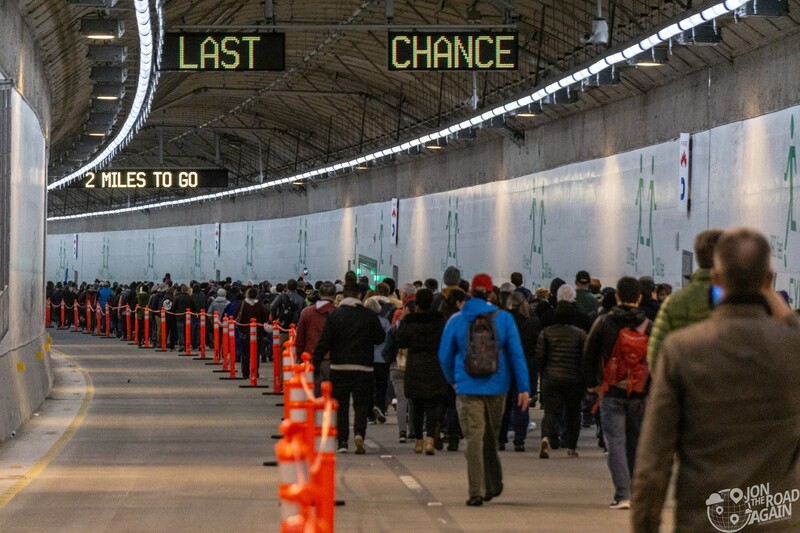 All through the day, the tunnel was packed with us citizen lookie-loos, interested to see what our $3 billion has bought. 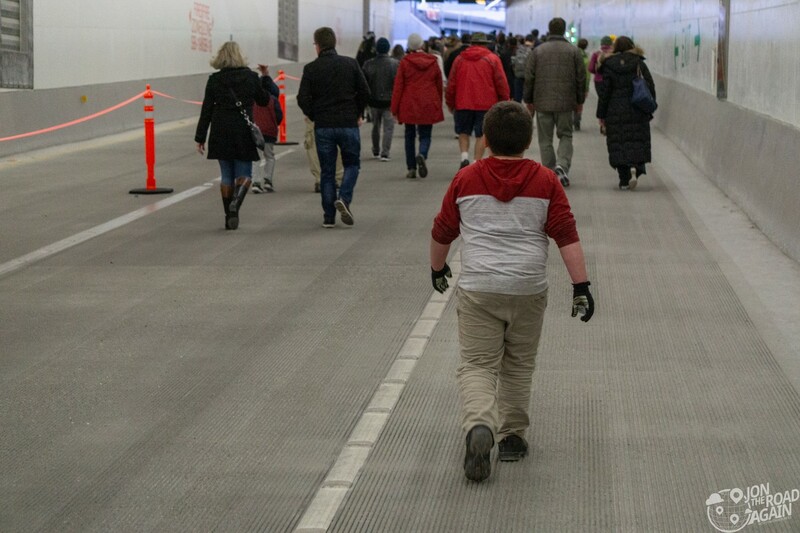 Everyone was having a good time walking through the tunnel, exploring what they could. Especially this lady who found a great way to lose one’s phone down a fresh air vent. From the North Portal, it’s all downhill until Virginia Street. At 211 feet below street level, this is the tunnel’s deepest point. 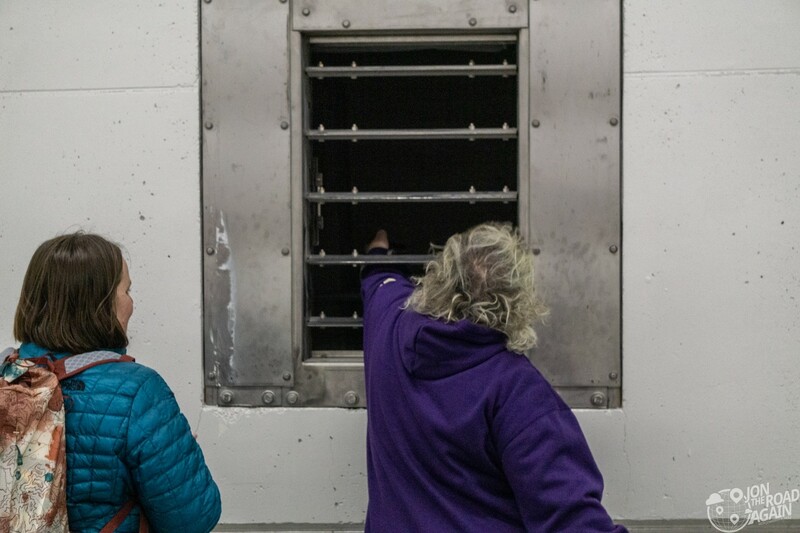 The tunnel has 15 emergency refuge areas located every 650 feet (200 m) with escape routes, a set of fiber optic cables in the ceiling to sense heat and activate sprinklers, and large fans located in two operations buildings to force smoke out through a set of 40-foot ventilation shafts. 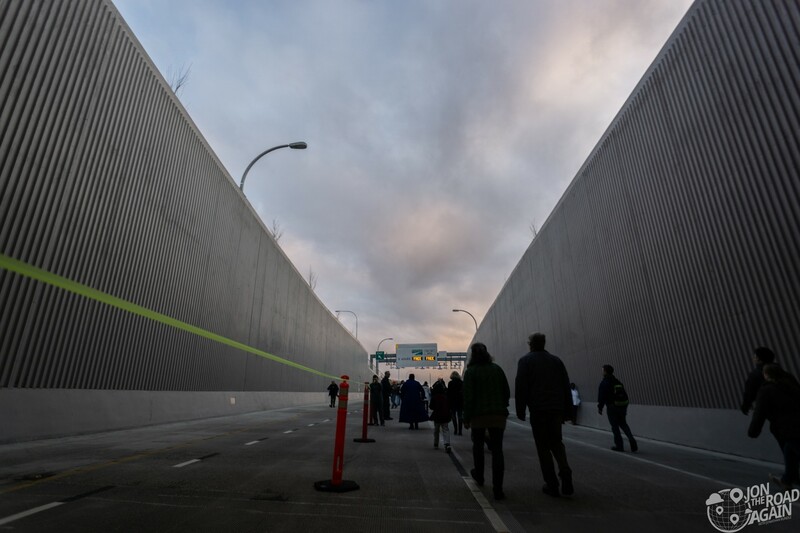 The tunnel is monitored by over 300 security cameras that are fed into a WSDOT traffic control center that can dispatch incident response teams. It also has cell phone and FM radio service, with the latter able to overridden by WSDOT for emergency broadcasts. All that technology sure is cool, especially when you compare it to the Lord of the Flies situation of the Viaduct and Battery Street Tunnel. We’re almost there! 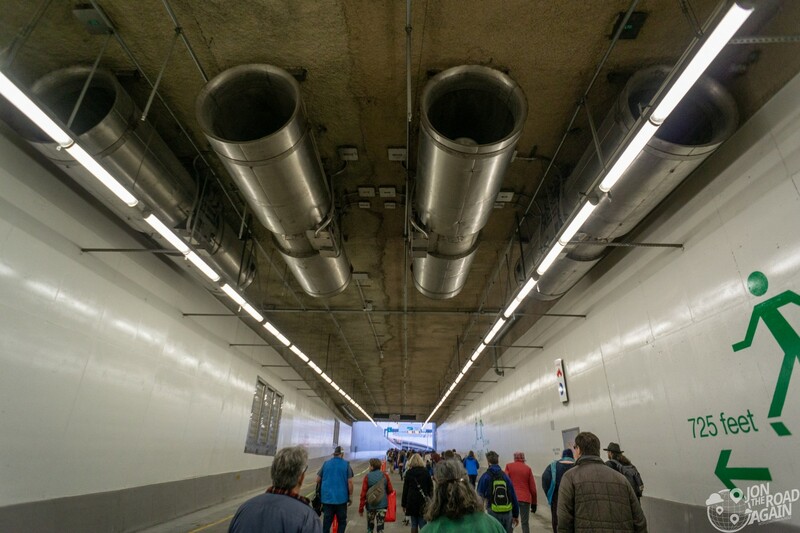 These mega fans move fresh air from the South Portal into the tunnel. This little dude cracked me up. He was walking around like he was a job foreman. He totally had the disposition down; someone who simultaneously needs to keep an eye on his crew and has somewhere important to be. Plus, it looks like he’s wearing work gloves. Air! The mole people emerge once again. 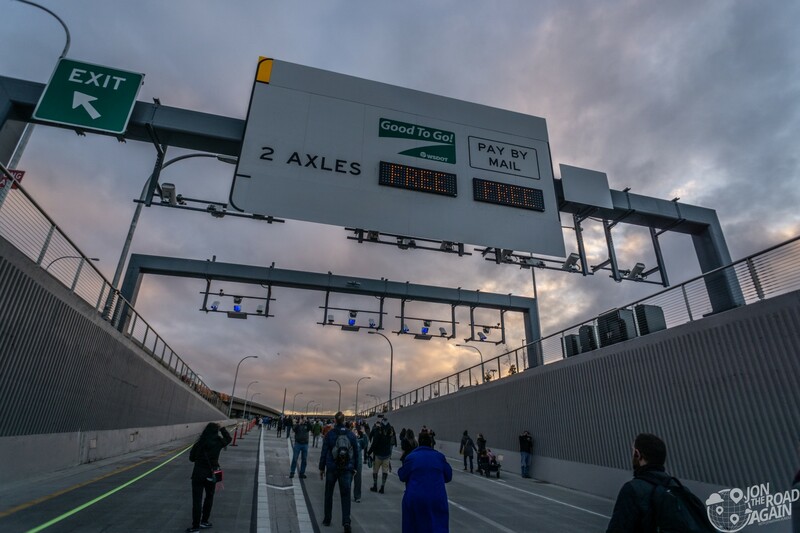 A $3 million advertising campaign has accompanied the tunnel opening, letting you know you can drive the tunnel for free at first; until they start tolling up to $2.25 each way ($4.25 if you don’t have a Good to Go pass). 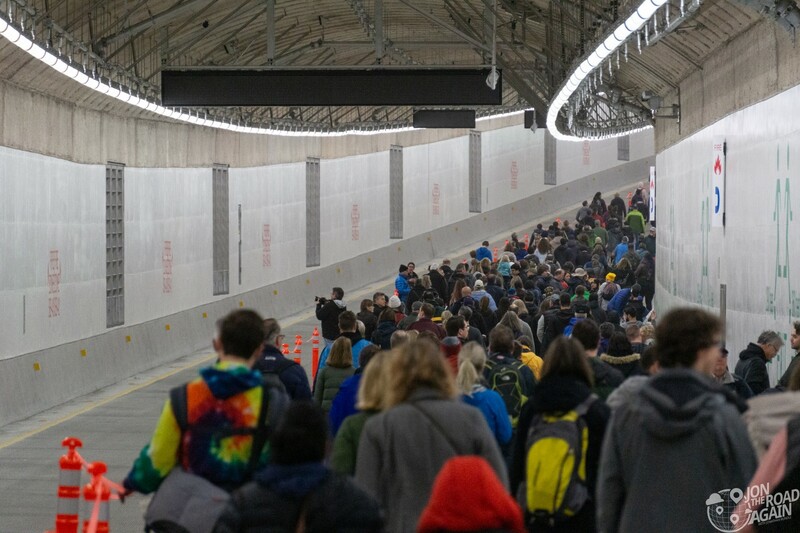 Today’s experience is only part of the effort to bid farewell to the Viaduct and hello to the Tunnel. 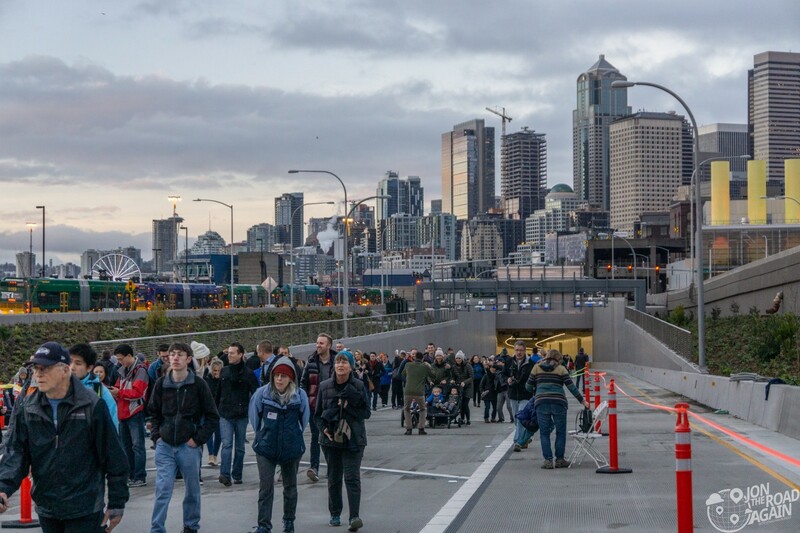 See the second part of our journey, the last walk on the Alaskan Way Viaduct.